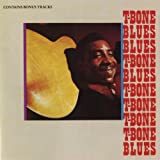 Shop for T-Bone Walker mp3s. Get T-Bone Walker essential facts below. 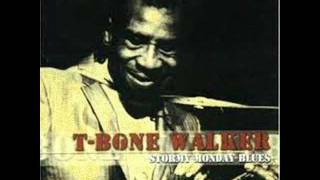 View Videos or join the T-Bone Walker discussion. 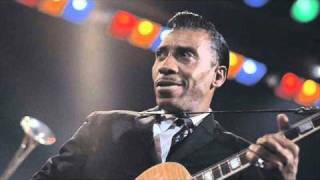 Add T-Bone Walker to your PopFlock.com topic list for future reference or share this resource on social media. 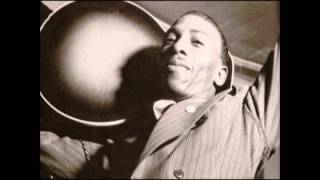 Aaron Thibeaux "T-Bone" Walker (May 28, 1910 - March 16, 1975) was an American blues guitarist, singer, songwriter and multi-instrumentalist, who was a pioneer and innovator of the jump blues and electric blues sound. In 2011, Rolling Stone magazine ranked him number 67 on its list of "The 100 Greatest Guitarists of All Time". Walker was born in Linden, Texas, of African-American and Cherokee descent. His parents, Movelia Jimerson and Rance Walker, were both musicians. His stepfather, Marco Washington, taught him to play the guitar, ukulele, banjo, violin, mandolin, and piano. Walker began his career as a teenager in Dallas in the 1920s. His mother and stepfather (a member of the Dallas String Band) were musicians, and Blind Lemon Jefferson, a family friend, sometimes came over for dinner. 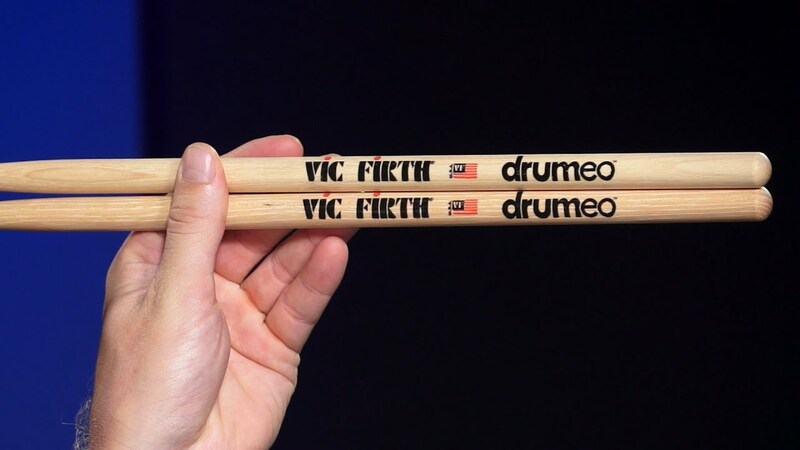 Walker left school at the age of 10, and by 15 he was a professional performer on the blues circuit. Initially, he was Jefferson's prote;ge; and would guide him around town for his gigs. 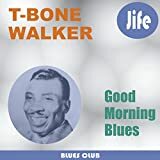 In 1929, Walker made his recording debut with Columbia Records, billed as Oak Cliff T-Bone, releasing the single "Wichita Falls Blues" backed with "Trinity River Blues". Oak Cliff is the community in which he lived at the time, and T-Bone is a corruption of his middle name. The pianist Douglas Fernell played accompaniment on the record. Walker married Vida Lee in 1935; the couple had three children. By the age of 25, Walker was working in clubs on Central Avenue, in Los Angeles, sometimes as the featured singer and as guitarist with Les Hite's orchestra. In 1940 he recorded with Hite for the Varsity label, but he was featured only as a singer. 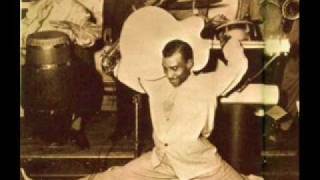 In 1942, Charlie Glenn, the owner of the Rhumboogie Cafe;, brought T-Bone Walker to Chicago for long-time stints in his club. In 1944 and 1945, Walker recorded for the Rhumboogie label, which was tied to the club, backed up by Marl Young's orchestra. 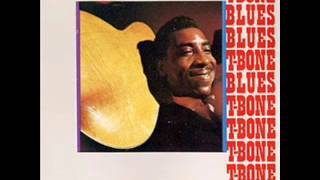 Much of his output was recorded from 1946 to 1948 for Black & White Records, including his most famous song, "Call It Stormy Monday (But Tuesday Is Just as Bad)" (1947). Other notable songs he recorded during this period were "Bobby Sox Blues" (a number 3 R&B hit in 1947) and "West Side Baby" (number 8 on the R&B singles chart in 1948). Throughout his career Walker worked with top-notch musicians, including the trumpeter Teddy Buckner, the pianist Lloyd Glenn, the bassist Billy Hadnott, and the tenor saxophonist Jack McVea. 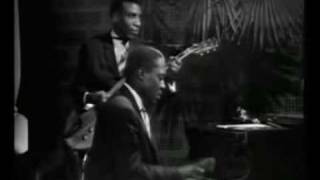 He recorded from 1950 to 1954 for Imperial Records (backed by Dave Bartholomew). 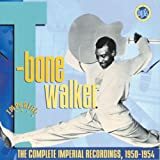 Walker's only record in the next five years was T-Bone Blues, recorded during three widely separated sessions in 1955, 1956 and 1959 and released by Atlantic Records in 1960. 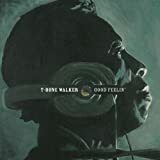 By the early 1960s, Walker's career had slowed down, in spite of an energetic performance at the American Folk Blues Festival in 1962 with the pianist Memphis Slim and the prolific writer and musician Willie Dixon, among others. 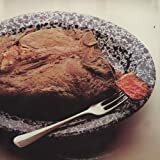 However, several critically acclaimed albums followed, such as I Want a Little Girl (recorded for Delmark Records in 1968). Walker recorded in his last years, from 1968 to 1975, for Robin Hemingway's music publishing company, Jitney Jane Songs. He won a Grammy Award for Best Ethnic or Traditional Folk Recording in 1971 for Good Feelin', while signed with Polydor Records, produced by Hemingway, followed by another album produced by Hemingway, Fly Walker Airlines, released in 1973. Walker's career began to wind down after he suffered a stroke in 1974. He died of bronchial pneumonia following another stroke in March 1975, at the age of 64. 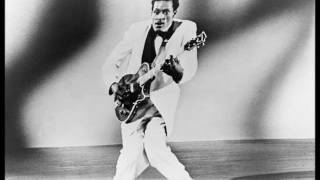 Walker was posthumously inducted into the Blues Hall of Fame in 1980 and the Rock and Roll Hall of Fame in 1987. 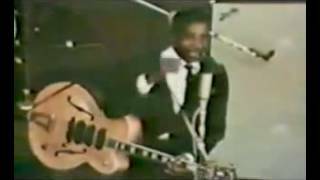 Chuck Berry named Walker and Louis Jordan as his main influences.B.B. 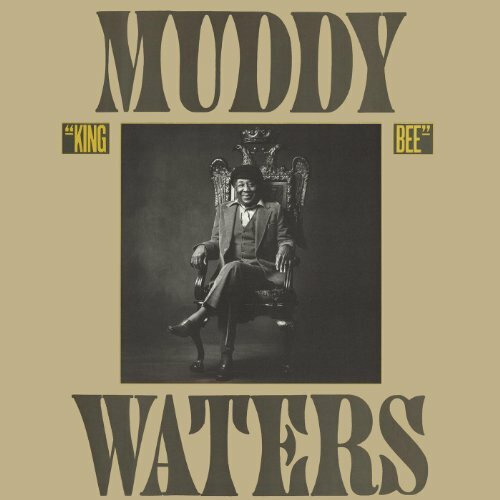 King cited hearing Walker's recording of "Stormy Monday" as his inspiration for getting an electric guitar. 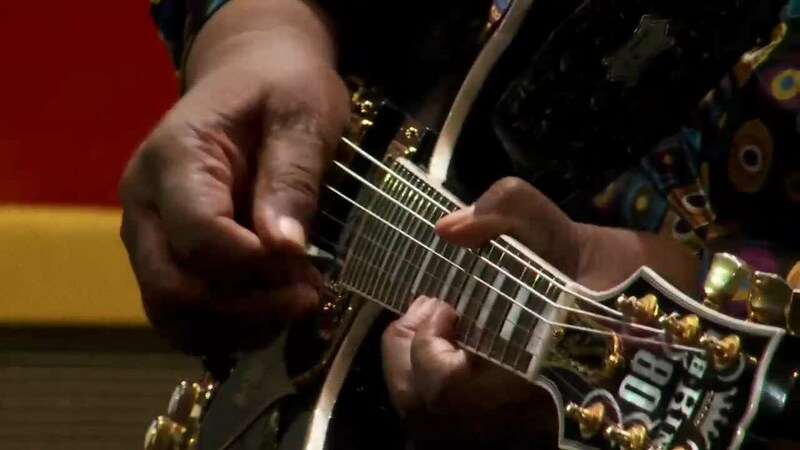 Walker was admired by Jimi Hendrix, who imitated Walker's trick of playing the guitar with his teeth.Steve Miller stated that in 1952, Walker taught him how to play his guitar behind his back and also with his teeth. He was a family friend and a frequent visitor to Miller's family home and Miller considers him a major influence on his career. 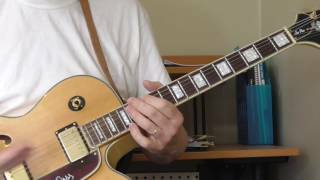 "Stormy Monday" was a favorite live number of the Allman Brothers Band. The British rock band Jethro Tull covered Walker's song "Stormy Monday" in 1968 for John Peel's "Top Gear". ^ a b c d e f Dahl, Bill. 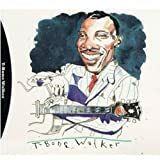 "T-Bone Walker Biography". AllMusic. Retrieved 2015. ^ Dance, Helen Oakley. "Walker, Aaron Thibeaux (T-Bone)". The Handbook of Texas Online. Denton: Texas State Historical Association. Archived from the original on 2008-01-27. Retrieved 2010. ^ a b "100 Greatest Guitarists". Rolling Stone. 23 November 2011. ISSN 0035-791X. ^ a b c Nadal, James. 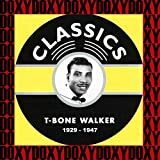 "Profile of T-Bone Walker". All About Jazz. Retrieved 2015. ^ a b c Russell, Tony (1997). 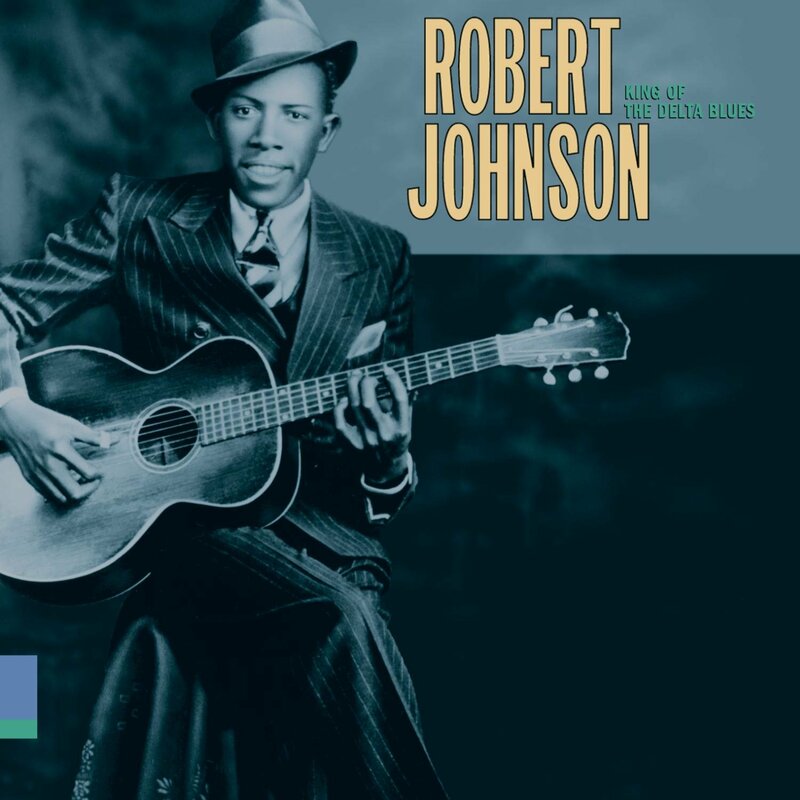 The Blues: From Robert Johnson to Robert Cray (the blues rock down ed.). Dubai: Carlton Books. pp. 58-59. ISBN 1-85868-255-X. ^ Russell, Tony (1997). The Blues: From Robert Johnson to Robert Cray. Dubai: Carlton Books. p. 13. ISBN 1-85868-255-X. ^ Henderson, Alex. 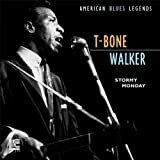 "Blues Masters: The Very Best of T-Bone Walker: Songs, Reviews, Credits, Awards". AllMusic. Retrieved . 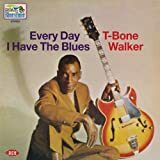 ^ "T-Bone Walker: Discography". AllMusic. Retrieved . 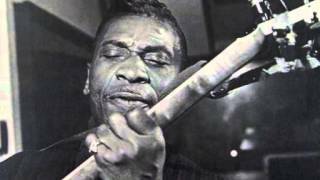 ^ a b "T-Bone Walker Blues Guitarist Career Profile". Blues.about.com. Retrieved . 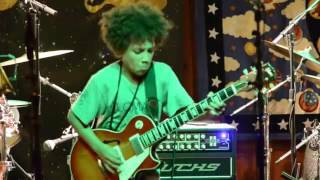 ^ "Performers in Blues Hall of Fame". Blues Foundation. Archived from the original on 15 January 2015. Retrieved 2015. 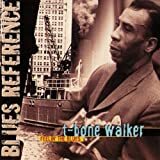 ^ "T-Bone Walker: Inducted in 1987". Rock and Roll Hall of Fame. Retrieved 2011. ^ Harper, Johnny. 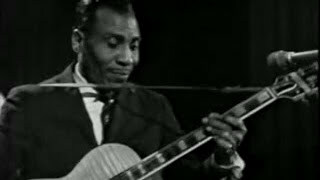 "T-Bone Walker: Blues Guitar Godfather". 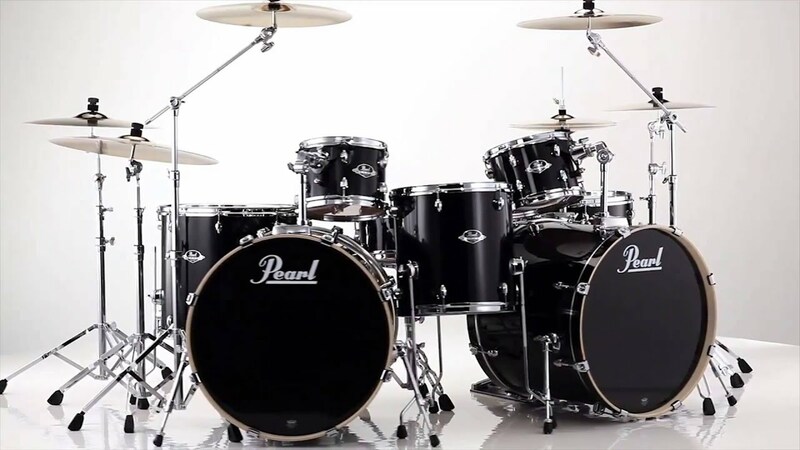 There Productions. Archived from the original on 22 April 2014. Retrieved 2015. ^ Welding, Pete (1991). The Complete Imperial Recordings, 1950-1954 (CD booklet). Hollywood, CA: EMI Records USA. pp. 9-10. CDP-7-96737-2. 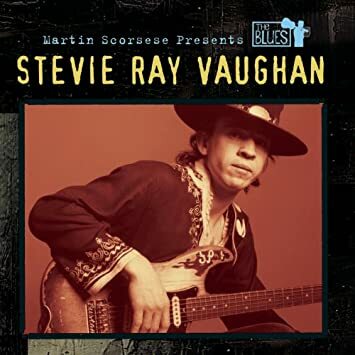 ^ "Why Steve Miller Thinks T-Bone Walker Is King of The Electric Guitar". Retrieved 2018. ^ Michael Granberry. "Steve Miller: Dallas set him on his path to stardom", Dallas Morning News, November 28, 2004, Texas Living section, page 2E. 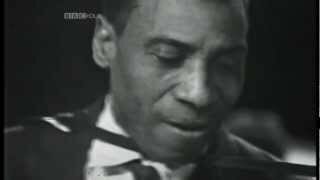 "T-Bone Walker". Rock and Roll Hall of Fame. 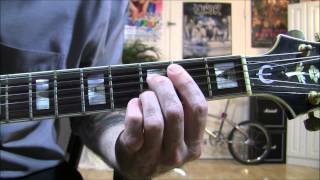 How to play T-Bone Walker's signature intros..